Encrusted with crystals, these archiectural hoops from Alexis Bittar add a sparkling elegance to any look. 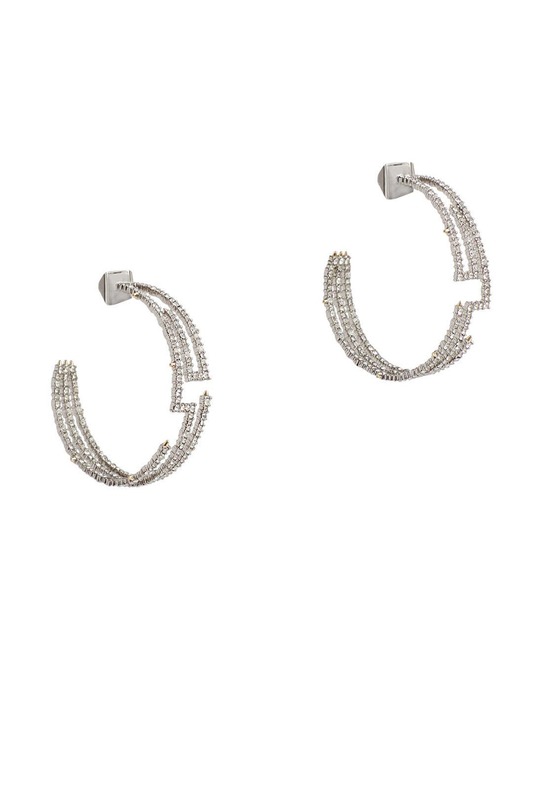 Rhodium plated maze-like hoop earrings with pave crystal accents. Post backs for pierced ears. 1.8" long.